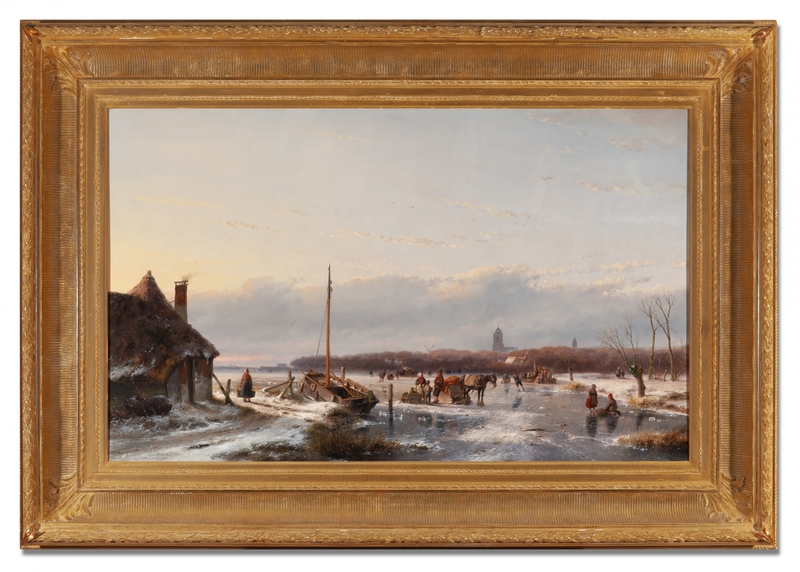 Andreas Schelfhout was one of the most applauded landscapists of his time, universally admired for his brilliant winter scenes. Building on a grand tradition that blossomed in the 17th century, Schelfhout acquired international fame with his superb brushwork, perfectly balanced compositions and masterful depiction of sky and ice. It earned him the nickname of 'the Dutch Claude Lorrain'. 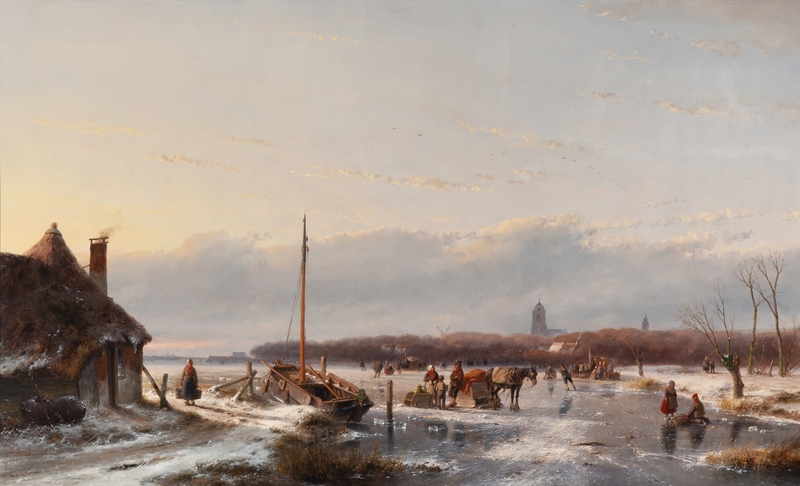 The art critic of the Kunstkronijk (1852) was so impressed by the tranquil poetry of Schelfhout's winter scenes that he exclamed in sheer admiration: 'one could not paint more exquisitely'. 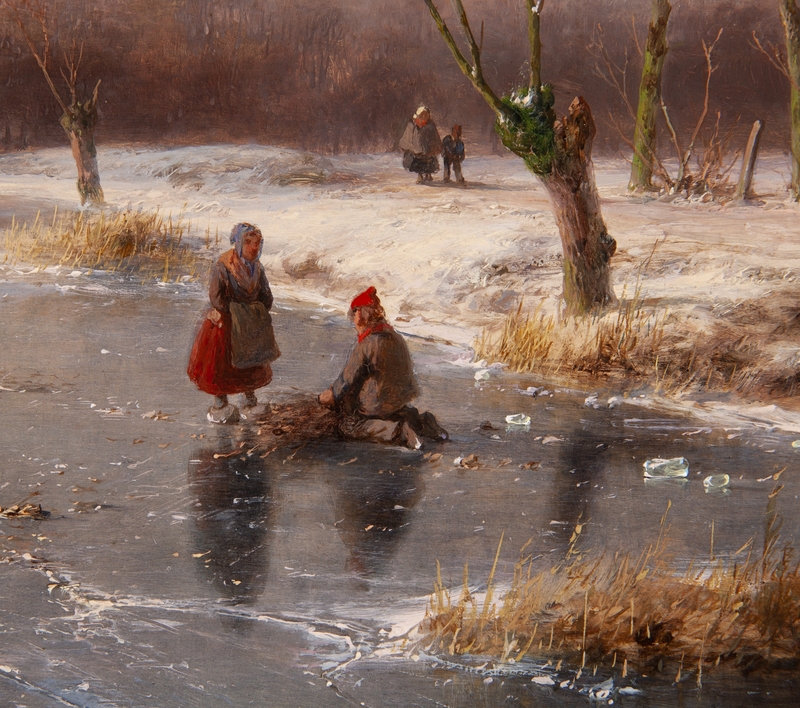 Up to this day, Schelfhout's supremacy as a painter of winter landscapes remains unchallenged. 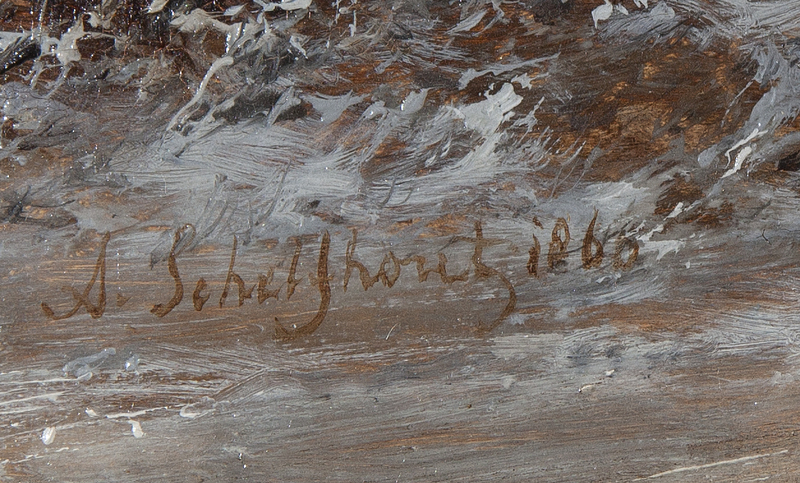 Schelfhout was the son of a gilder and framemaker from Gent. 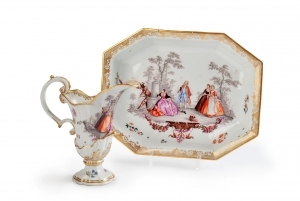 Up to the age of 24 he worked in his father's business, after which he studied with Johannes Breckenheimer, with whom he stayed for four years. This being the only formal education he got, Schelfhout took great pride in seeing himself as self-taught, 'nature' being his only teacher. Schelfhout's unique talent surfaced for the first time at the exhibition of 'Living Masters' in Amsterdam (1818), where his winter landscapes received much critical acclaim. It marked the beginning of an immensely successful career. This painting is a wonderful example of Schelfhout's unsurpassed virtuosity. 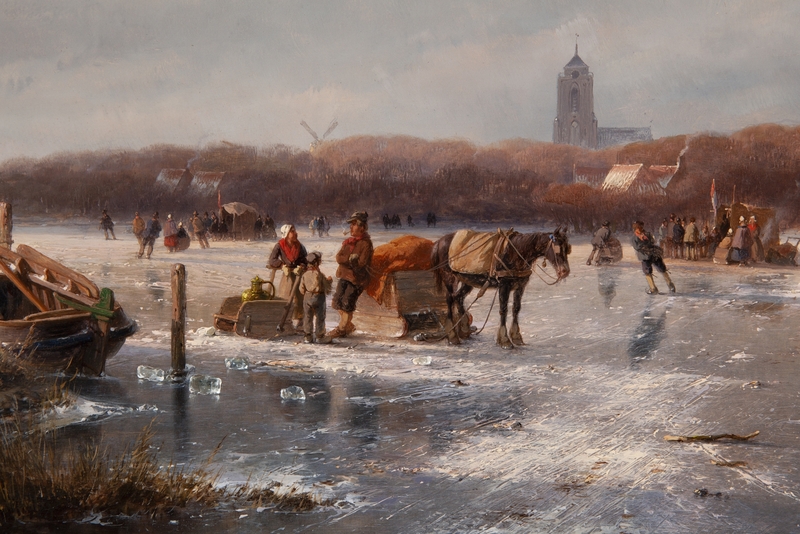 It shows a frozen waterway near Zaltbommel, numerous skaters enjoying themselves on the ice. Schelfhout manages to strike a perfect balance between his much praised, free brush technique and a quest for detail. The lively, masterfully depicted figures are set in an open landscape. The low horizon, spanning almost the entire width of the painting, renders a great depth to the scene. Breathtaking is the superb treatment of the ice. The many scratches, tears and reflections are rendered with great natural quality, at some places the artist only hints at it with the back of his brush. 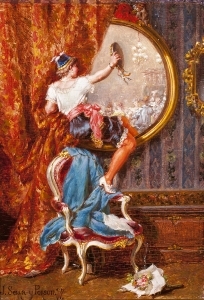 This unusually large panel must be regarded as an undisputed highlight in the oeuvre of the artist. 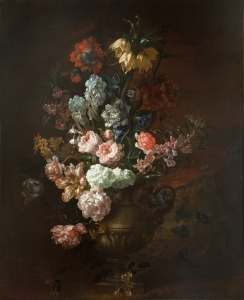 Sale Amsterdam (Mak van Waay), 3 March 1975, lot 520; Kunsthandel Leslie Smith, Wassenaar; Dutch Private collection 1976-2006; Sale Sotheby’s Amsterdam, 17 October 2006 (lot 207); Dutch private collection 2006-2019.